Why ACA Is Obama’s FDR Moment ! I felt like our great nation/America had been saved when hearing the news that The Supreme Court [SCOTUS] had upheld President Obama’s Health Care Law this past Thursday, 28June2012. 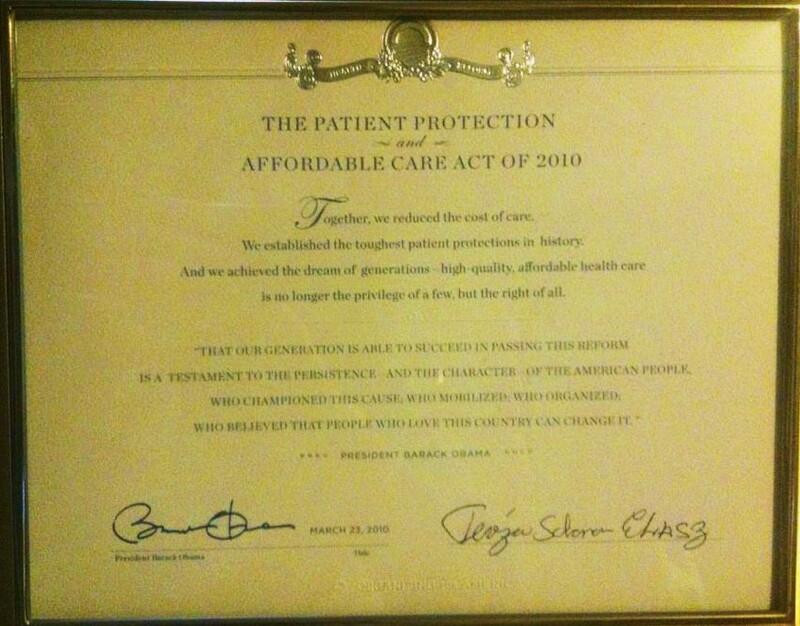 I woke even earlier than our family’s usual daily 4:30 a.m. – went to my study where I stared proudly at my displayed framed President Obama signed certificate to me for having helped/worked on passing ACA through Congress [except my new legal name as of January 2012 is different – think I can get a new copy?]. I, like most involved, was prepared for defeat – the Roberts Conservative Court having taught us to expect disappointment. SURPRISE & ELATION at 10 a.m. when glued to my computer I was reading what all my like minded friends and associates, some who were there in D.C., began sharing! First year law school classes demand the ability to read and understand the nuances of precedence – cases used to determine the legitimacy of legal decisions. I actually enjoy reading legal cases for fun and profit [ more about that in my 2013 book, “Heiress Mommy”] – so much so that my wonderful husband on his last genealogy conference trip to Utah earlier this year bought me [along with a snow globe for my collection] an original two volume Benjamin N. Cardozo New York Bar [our soon to be State of full time residence] Association 100th Anniversary Edition Memorial Lectures. I mention this great jurist here because as Cardozo wrote concerning why Social Security and Employment benefits were constitutional during FDR, so was the findings this past week involving ACA. When President Roosevelt decided that there was a moral imperative to having guaranteed retire income for senior citizens the opposition, much as today, fear mongered that this great capitalist nation would become a socialist gulag. Franklin Roosevelt and now President Obama had to not only deal with the practicality of the life saving programs they were attempting to make law but at the same time address the extremist naysayers attempting [for various reasons] to thwart their herculean efforts. I am a devotee of the Hamiltonian philosophy – that which our founding father, Alexander Hamiliton believed is the implied powers with which the federal government can decide to act on behalf of the general welfare of the entire United States citizenry. I fully understand the legitimate fear of some who think federal power can be over reaching or abused – as a Jewish American my historical DNA often leaves me equally concerned of the slippery slope scenario toward totalitarianism. One ,must stay vigilant over too much government while not ignoring that which modernity has presented nor the complications that can only be dealt with by an organized and fully integrated body – such as our national government. I can not count the number of people – knowing how much the ACA constitutionalism meant to me – not only gave me congratulatory compliments on my personal efforts but also shared stories of their or those they knew whose life would be made better and even saved because ACA was now the law of the land. I was immediately reminded of the equally moving and poignant stories my parents shared with me that others told them when Social Security and Employment Insurance were established under FDR. 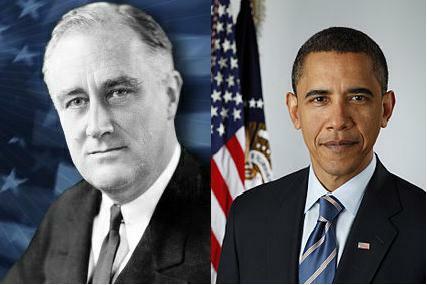 Therefore I say this is definitely Obama ‘s FDR moment – we are ALL the benificaries of both. May G-d bless these two amazing progressive U.S. Presidents and may G-d bless the memory of our beloved late Senator Ted Kennedy, who worked so long and so hard to make affordable health care available to ALL Americans !!! Very interesting. I am so glad you shared it. I invite you to visit my blog. I will be back here for sure.